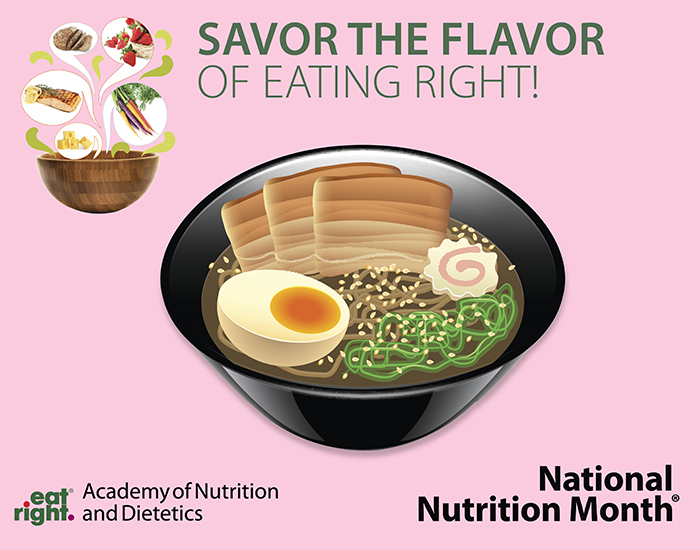 For those of you who don’t know, March is National Nutrition Month and this year’s theme is Savor the Flavor of Eating Right! Additionally, today is Registered Dietitian Nutritionist Day! Here at Geeks Who Eat, it may seem like we eat a lot of unhealthy food, but it is all about moderation. 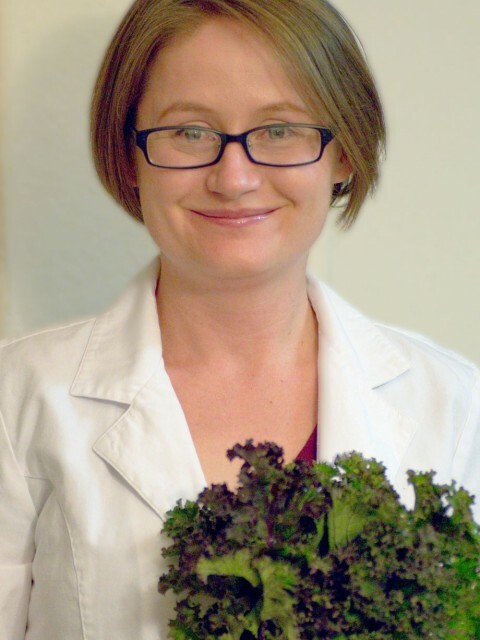 We spoke with a local Registered Dietitian Nutritionist, Lindsay Gnant about some ways that home cooks could bring more flavor to their recipes in healthier ways. We also collaborated with Ms. Gnant, MS, RDN on making one of our favorite recipes healthier! Prepare Vegetables in a Way That Maximizes Their Flavor– A great way to do this is to oven roast them! This adds extra flavor without the extra fat or salt. Be Smart with Seasoning– Making your own seasoning blends at home can reduce sodium intake. To brighten the flavors of your food with less sodium, you can also use a squeeze of lemon or dash of vinegar. Not only will this reduce your sodium, but it will also save you some calories! Flavor Your Food with Herbs and Spices– Instead of salt and fat, herbs and spices are the key to food that not only tastes good but is also healthier for you. It also allows you to become more creative in the kitchen by bringing out new flavors and flavor profiles. By using different herbs and spices such as: Chinese 5 Spice, Wasabi Powder, Cumin, and Curry Powder, you can make your own globally inspired cuisine that tastes great without using excessive and unhealthy fats. One of the questions we asked (because we are total food geeks) was what the difference between seasoning and flavoring was. Ms. Gnant, MS, RDN was happy to explain! Seasoning is typically salt based and is designed to enhance, not change the overall flavor. This is why you have to add salt during every stage of cooking, because it does not really permeate the food being cooked. Flavorings are more herb and spice based. They change the flavor of foods they are cooked with. We would like to take this opportunity to thank Ms. Gnant, MS, RDN for taking the time to speak with us. 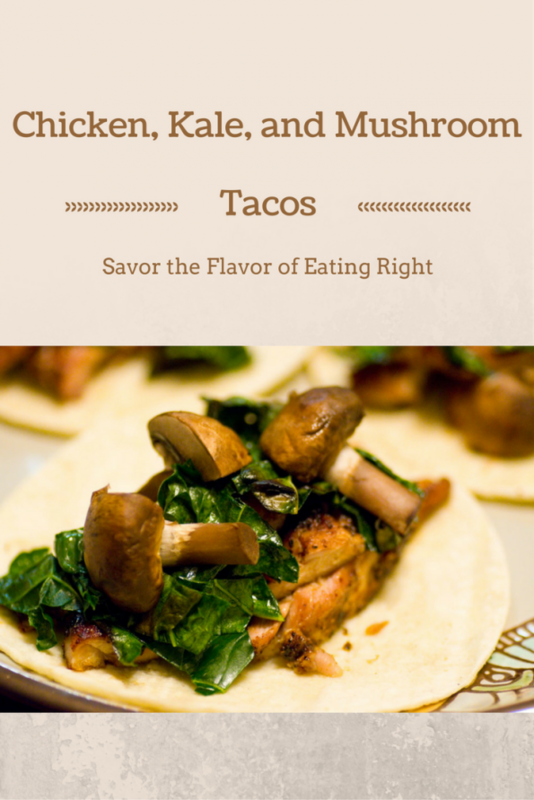 Below is the healthy taco recipe we collaborated on! For more information on National Nutrition Month and other ways to make healthy changes in your diet, you can visit: http://www.eatright.org/. What are some of your favorite ways to “Savor the Flavor of Eating Right”? Leave your comments and tips in the comments below or share your thoughts on Twitter with the hashtag #GeekEats! Soak wood skewers for mushrooms. Once skewers are adequately soaked, skewer washed mushrooms. Season chicken on both sides. Spray kale leaves lightly with cooking spray. Grill chicken and mushrooms until cooked through. We like a little char on ours as it adds more flavor. Remove. Grill kale leaves until the edges are charred. While allowing the chicken to rest, heat tortillas. Chop the chicken, mushrooms and kale. 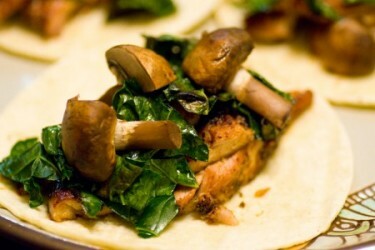 Construct tacos: chicken, kale, mushrooms. Any taco seasoning or seasoning blend can be used. These tacos would be great with several variations of seasoning. It’s Taco Tuesday in our house so this recipe came at a perfect time. Thanks for linking up to the Creative K Kids Tasty Tuesday linky, I can’t wait to see what you create next week! I am very happy you had someone explain the difference between flavoring and seasoning. Many people don’t understand that this is where they’re getting almost 80% of their salt intake. That little salt shaker or cellar we all have around is dangerous. I tend toward more herbal flavors, and am a sucker for unique flavor combinations. I really enjoy spices like cumin, coriander, mustard, and smoky paprika. The flavor value from these is HUGE. Also, this recipe looks freaking amazing! Keep knocking it out of the park!